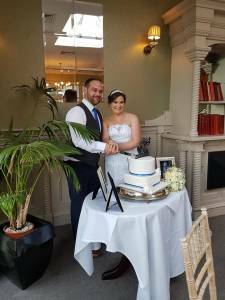 Congratulations to John Perkins from Ballinode, and Michelle Meehan from Ardaghey who were married on Thursday 26th July. Lovely bridesmaid was Cara Meehan, and Best Man was Chrissie Meehan. 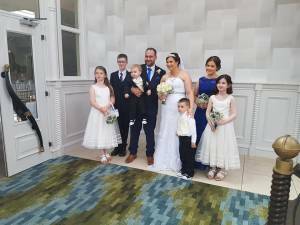 The delightful ceremony took place with an intimate family gathering in the Four Seasons Hotel, Monaghan, with many touching moments of tribute to John’s late Mum Heather, and his one and only legendary Grand-dad Alister Perkins. The party then moved to another superb local venue “The Poc” where a large group of family, relatives, neighbours, and friends joined the happy couple for a fantastic celebration which went on long into the night. It was a great evening of partying, we all send good wishes to the happy couple and Ashton, Cara, Alannah, Chase, Alex and Amy for a great life together.